Frontier Airlines has just announced that they are letting kids fly free this year. If you’re planning on any air travel with kids in the States this year then you should definitely check out their special offer. The Frontier Kids Fly Free offer allows one child to fly free with an adult through their Discount Den travel club. All children aged 14 or under can fly free on selected flights with the purchase of a Discount Den member fare. 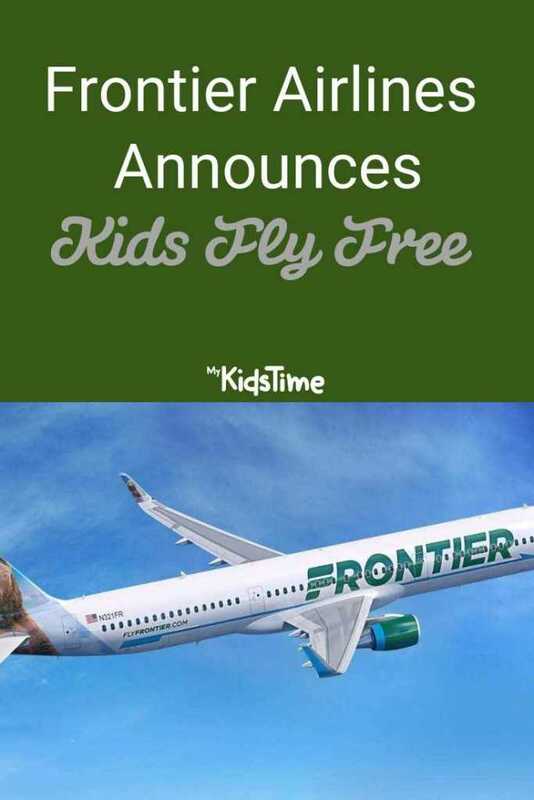 How Do Kids Fly Free with Frontier? 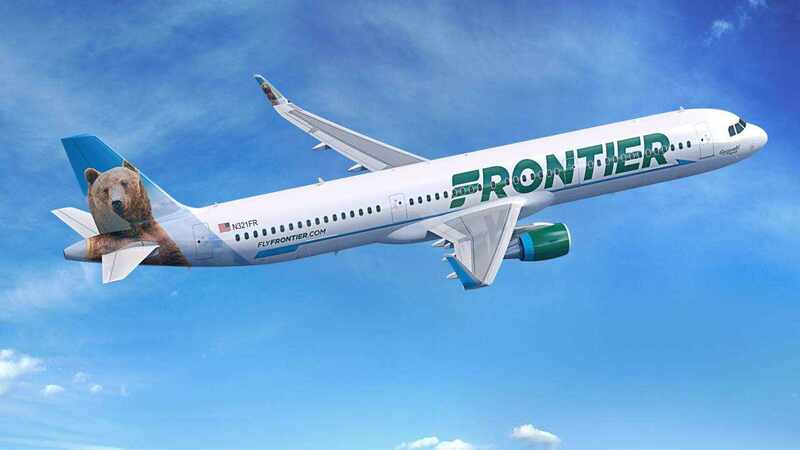 You will need to join the Frontier Airlines fare membership club, Discount Den, to enjoy Kids Fly Free. This costs $60 for the year but good news, you’ll also get other benefits included in your membership such as access to lowest fares for up to six people on your itinerary. Once you have joined their membership club, you just select a flight on a date that is marked with a Kids Fly Free logo beneath the Discount Den price. Remember to include the children travelling in your search to see the offer. On those valid Kids Fly Free flights, one kid under 15 can fly for free for every adult Discount Den fare purchased. One of the adults must be a Discount Den member, up to 6 passengers (including kids and adults). Offer exclusively for Discount Den members. Only Discount Den members can access this offer. So make sure you sign up or login during your booking. Only kids qualify for a free fare. They define “kid” as anyone 14 years of age or younger on the first day of your travel. Lap children do qualify but should be booked at time of initial booking as a child instead of a lap child. Kids Fly Free with the purchase of an adult Discount Den fare. Only one kid can fly for free for every one adult (15+) ticket purchased on the booking. 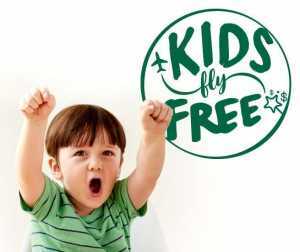 The Kids Fly Free is only offered on bookings made on flyfrontier.com. Kids Fly Free is only valid for initial booking. Changes made after the initial booking will result in loss of Kids Fly Free promotion. Offer is for select flights. Kids Fly Free is available for select domestic flights and cannot be combined with other offers or promo codes. International flights are not included. Offer not valid on overnight connections. Discount cannot be applied to previous purchases. Kids Fly Free offer only applies to airfare. The offer does not include bags, seats & other travel add-ons. Earning Exclusion. Kids flying through the Kids Fly Free program do not earn FRONTIER Miles. Seems like a reasonable enough offer to us! Over to you now. Do you plan to use this Frontier Kids Fly Free offer? Tell us in the comments below.